New year, new Customer Spotlight! As a refresher, our Customer Spotlight Series focuses on the creative geniuses who work tirelessly behind the scenes to build great marketing campaigns. In each Customer Spotlight, we ask a marketer questions about getting started in their career, what makes them tick, and some fun questions to learn what our customers like to do when they’re not using Iterable. 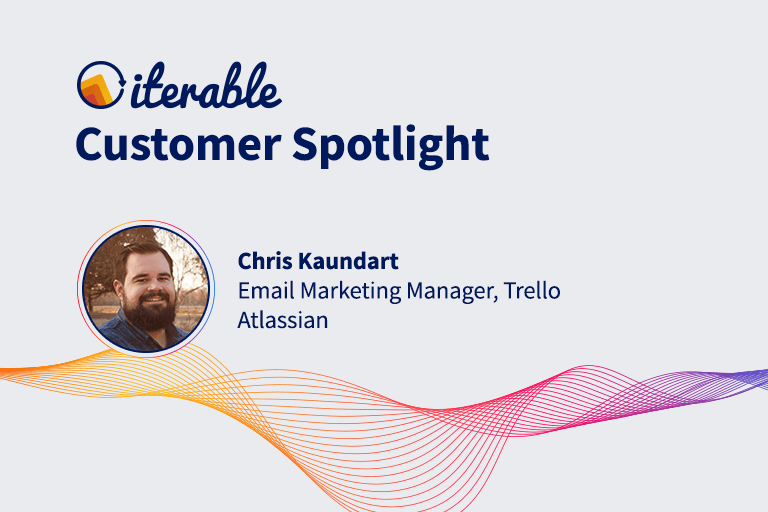 For our first Customer Spotlight of 2019, we’re excited to introduce you to Chris Kaundart, Email Marketing Manager for the Trello product at Atlassian. 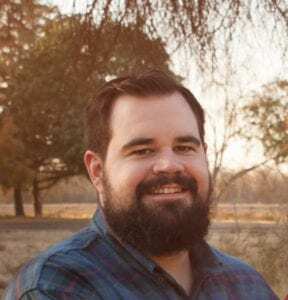 Chris Kaundart got his start in marketing at a small electronics company (DPS Telecom) in his hometown of Fresno, CA. He also spent over three years at the Salesforce Marketing Cloud (formerly ExactTarget), working with retail clients to design and implement new email initiatives. Trello has been an Iterable customer for two years and, in this post, Chris shares some great insight into how they’ve scaled their email programs, lessons they’ve learned along the way, how they want to further leverage Iterable, and more. Like many others I’ve come to learn, I got started by copywriting! I worked for a small electronics company in my hometown shortly after college. I started with writing blog posts and the like, and went from there. I had plenty of writing samples from my time in college, so I think that helped me transition to a job writing. What frustrates you about marketing? This is really specific to email marketing, but I get frustrated with the misconception that what I do is spamming people. I spend more time than I ever thought I would justifying email marketing, and detailing how it isn’t, by default, spam! Do you have a campaign that you’re most proud of and why? We’ve drastically scaled our international email programs. We’re sending our welcome email series in over 20 languages and our newsletter in five (with more on the way). I love that we’re reaching more and more of our users in their preferred language. Were there any lessons learned or important takeaways from marketing campaigns you’ve run in the last two years? I think the biggest takeaway I continually have is to put our users first. Whenever I 100% dial-in and just focus on doing right by our incredible users, good things happen. We have a company value at Atlassian that’s, “Don’t #@!% the customer.” I really try to live by that in all the work I do. Looking ahead to 2019 and beyond, do you have any goals for how you want to further leverage Iterable in your marketing campaigns? Currently, I’m obsessed with the data feed feature. I’m trying to find ways to leverage this for real-time data to give our users better emails. Right now, we’re looking to expand the ways we get our blog content into emails using data feeds. Get to know and work with your Customer Success Manager. Chris Wheeler has been so helpful in getting the most out of Iterable. I feel like I can really rely on him to help me find solutions to any challenge I face. I really like the straightforward and easy-to-use UI. As the only person who is 100% focused on Trello’s emails, being able to work quickly and easily in the UI saves me time. It’s the little things like Workflows, built-in previews, etc. that save me time throughout the week. What was your biggest personal achievement of 2018? I got married! I spent a lot of my personal time focused on all the details (and there were more than I was expecting) that went into my wedding. At the end of the day, I got to marry my best friend and heard rave reviews from our guests—definitely worth the effort! A past manager once told me that if I never tell anyone what I want in life, I’ll likely never get it. As someone who is relatively quiet and introverted, it’s been helpful to try and be more vocal. Want to be Featured in 2019? 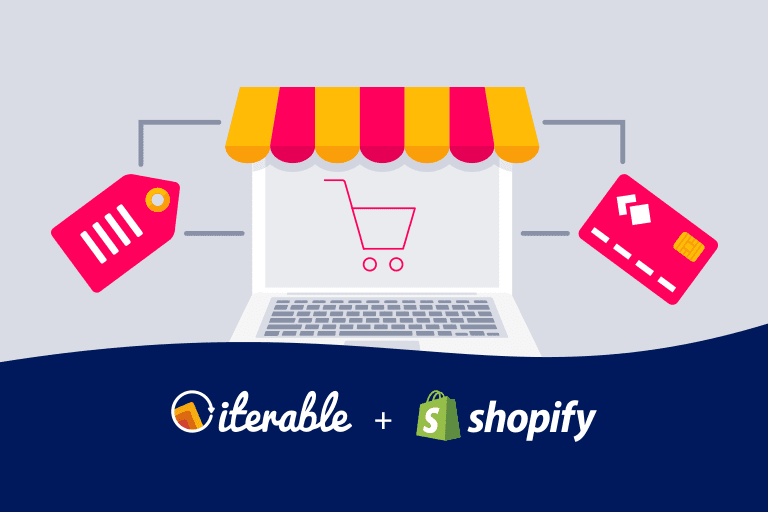 If you also use Iterable and would like to be featured in one of our monthly Customer Spotlights this year, then reach out to us at blog@iterable.com. 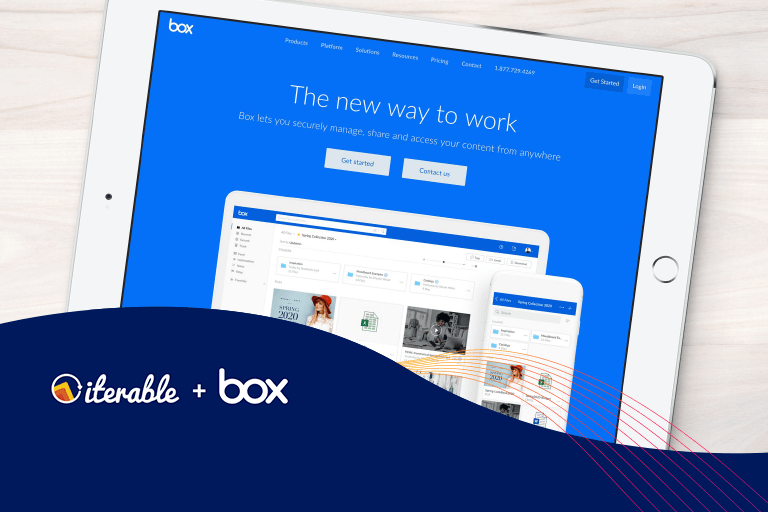 You can also contact us by joining the Iterable community, where you can gain exclusive access to our thought leaders and all our special content. Pop in anytime to ask questions, request new Iterable features, and learn the latest trends and tactics in growth marketing. And lastly, if you’re planning your 2019 events calendar, make sure to add Activate 19 to your list! Taking place on April 22-24 in San Francisco, Activate will host over 600 of the industry’s most innovative marketers—including Chris Kaundart! Don’t delay—early bird pricing ends February 28, so save $200 off your full access pass by registering today!